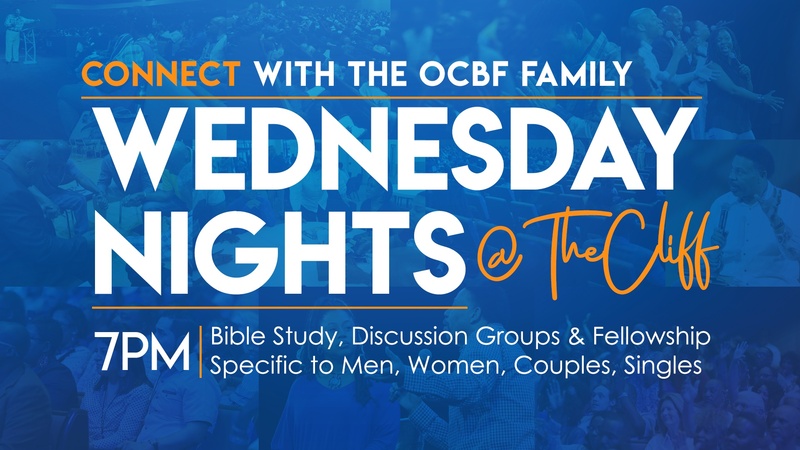 Connect with the OCBF family for Bible study and discussion specific to Singles & Couples on 1st & 3rd Wednesdays and Men & Women on 2nd & 4th Wednesdays. Come at 6:45 pm for a time of corporate prayer followed by praise & worship. Then transition to a Bible teaching and discussion time specific to your gender or marital status.